Consistent and stable internet connectivity will be required by most VoIP solutions. There are lots of cases where standard, business class internet service (with suitable bandwidth) will work just fine with your VoIP system. QoS (quality of services) configurations usually put voice traffic ahead of any other internet traffic, ensuring that the call quality is very high and well-maintained. There are hosted PBX providers that offer assistance with a configuration such as this one on existing customer hardware. There is always this assumption that QoS configuration is supported by hardware. Other providers will have a particular network hardware piece sold through the use of the QoS configuration that is normal which businesses will be able to have installed to get call quality prioritized. Whichever way, a hosted PBX’s quality as well as functionality using VoIP service is great when the location of the business favors the internet service. VoIP solutions becomes impossible when internet service isn’t good enough. There are a few hosted PBX providers that do the offering of dedicated circuits which will be installed in other to get the business and provider connected. These are quite expensive though. The good part is that there are other ways through which hosted PBX solutions can be made use of without mobile phones that are internet-connected being required. There are providers like Citrix Grasshopper offering solutions which don’t involve the use of VoIP in any way. These PBXes are simple as they can consider that phone lines which are existing tend to be extensions as well as route calls in such way. Let’s assume that you have a number which can get calls delivered to any IVR system. Whenever an extension is dialled by the caller and a destination is selected like support or sales, a mobile number or landline which exists will be called by the hosted PBX. 2 calls are going to be connected at such time. The person calling will not know that he or she has been linked to an entirely different number. This is because the system isn’t only going to look but will also function just like any other in-house PBX alongside features such as IVR, hold music, transfer, call forwarding and lots more. POTS (Plain Old Telephone System), VoIP phones, or mobile phones are what the extension can be like with a provider that is different. The focus of the hosted PBX is that whenever an extension gets selected, call is going to get placed to any number that has been assigned to such an extension. This is something that may sound basic but it has been tested and proven to be a technology which can make any business regardless of its size, appear like it is making use of a software which is of enterprise – grade. In other words, there will not be any need to invest in phone hardware (dedicated desktop) or any of those sophisticated PBX solutions. Get outbound calls placed through the use of a system such as this one by getting a particular phone registered first of all. After that, you will then get an outbound number dialled so as to have a call placed to the number that is desired. This method will become much simpler through the use of a smartphone as provider app is going to be getting outbound calls placed. In other to ensure that your VoIP traffic can be handled by internet traffic, you will need to ensure also that it can be handled by your LAN (local area network). It becomes very tricky when a VoIP gets dropped in your network. Such traffic is going to get processed in a way which is similar to that of other traffic running through such LAN. This could be your accounting application that is shared or the files which are about 20 gigabytes that have just been stored by your assistant inside the cloud. There is a problem here is which is the fact that VoIP traffic tends to be very sensitive when it comes to any network bumps as well as portholes as compared to any other type of traffic. Such could be broken sounds, difficulty over Wi-Fi connection, or worst of all when calls are lost. There are providers which have engineers on ground to ensure that you are given the best of support during the setup process. This will ensure that your IT staff members are able to have your network tested and optimized with a view to getting their solutions deployed. This is highly recommended. However, there are actually steps that you can take immediately to get your LAN prepped for VoIP. This ensures that the process of deployment becomes very easy. The main mechanism which keeps VoIP flowing very smooth is Quality of service. Specific traffic will get prioritized on LAN thereby ensuring that some streams are given attention. Due to this, they are going to have some part of the available pipe. Members of your IT staff should get used to Codecs that are being made use of by any VoIP system which you plan buying. There are always options available to you though which implies that you will be able to choose from several Codecs. The period of evaluation is where you will need to get them tested out in other to ensure that the Codec which is best has been chosen for your location. Once LAN has exceeded ten (10) users, it is important that you get an IT staffer. Such an individual will be having the network monitored through a particular tool. This doesn’t only include how devices are connected but also what type of traffic tends to be flowing. Before getting a VoIP system deployed, it is recommended that you ensure the tools which are being employed currently will be able to get VoIP traffic monitored as well as managed effectively. It should be making use of basic management protocols such as outright packet sniffing or SNMP. As soon as you begin to engage with the use of VoIP provider, you are going to be assisted by their engineers in knowing your network’s overall service grade and also how your service can be tweaked to enable it run effectively. In case it happens that there some network infrastructure which will need to be upgraded, such will be determined by this process. This is why you will need to ensure that it gets completed before having to spend money on switches or routers. Session Initiated Protocol is what it stands for. In the process of getting solutions evaluated or testing of your network, you are going to come across this frequently. It is the basic standard which you will be making use of whenever you have got any conversation on VoIP. The first time when VoIP initially emerged, developers of software and manufacturers of equipment most especially brands that larger such as Nortel and Cisco saw the need for their own protocol standards to be designed. Their reason for this wasn’t just due to it being easy but also to get customers trapped. Whenever any proprietary VoIP protocol gets running, having providers switched will imply a complete rip and replace process whereby software and hardware will need to get switched out totally. Such didn’t only drive up the costs as it also implied that the initial investment of customers on the former solution was lost. When VoIP started to get popular, smaller vendors began making use of SIP. They made use of it frequently given the fact that it allowed better communication amongst the various systems. There are other VoIP protocols existing with H.232 being a perfect example. The popularity of SIP isn’t just because of its flexibility but due to the fact that it has been designed to get multimedia communications engaged over IP/TCP networks. In the case of VoIP calls, protocols that are IP related will be used through a number by SIP. These include User Datagram Protocol, Transmission Control Protocol, and Stream Control Transmission Protocol. There are other functions which it will be able to handle such as session setup, presence management, location management, call monitoring and lots of others. Despite all of these functions, SIP has been compared against the other protocols based on how it has been built on response/request model and that it is text – based. There is also the thought that it tends to be similar in lots of ways to SNMP and HTTP. Regardless of all these, it can handle the most complex of situations. The basis which SIP has been built on is peer-to-peer. In the case of SIP, there are 2 points which are referred to as user-agent client. Don’t forget that these can be swapped implying that unlike those client-server protocols, whereby server remains server and client remains client. The traffic in SIP is being initiated by any user-agent client that is making the calls. On the other hand, the end point that is getting the call received is referred to as user-agent server. The nomenclature of client server gets reversed whenever the call order is reversed. Although this ensures high level of flexibility, it can also imply that every endpoint will be able to carry out both roles. Complete SIP solution does contain lots of elements. However, there are 2 which are very important. These are known as gateway and proxy server. Through proxy server, SIP endpoints’ functional requirements will be lightened. It also plays the role of server and client. It adds functionality purely on policy – based management and routing. When compared to a PBX network that is old fashioned, ISP gateway seems to be the closest. This is because they will not only handle the requirements of connectivity but also routing in other for SIP calls to get connected to various networks. There are hosted PBX providers which offer services that are extended like features of call centers. They are useful in getting call routing which are intricate and complex designed. These are aimed at getting call queues managed like support and sales. There are those that offer fax services, voicemail transcription, communication integrations such as integration of CRM application alonsgide PBX for a single click outbound calling to be enabled. There is also the retrieving of records and some other details anytime a call is made. The most vital thing here is to ensure that you are selecting the one that will suit your business purpose. 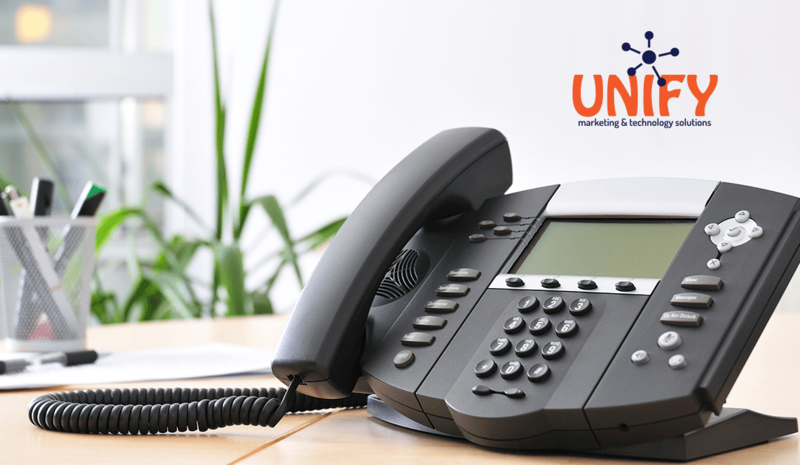 Ready to have a VoIP Phone System installed in your Toledo, OH area business? Contact UNIFYmts today!